The perfect little Welsh gift for that special person. 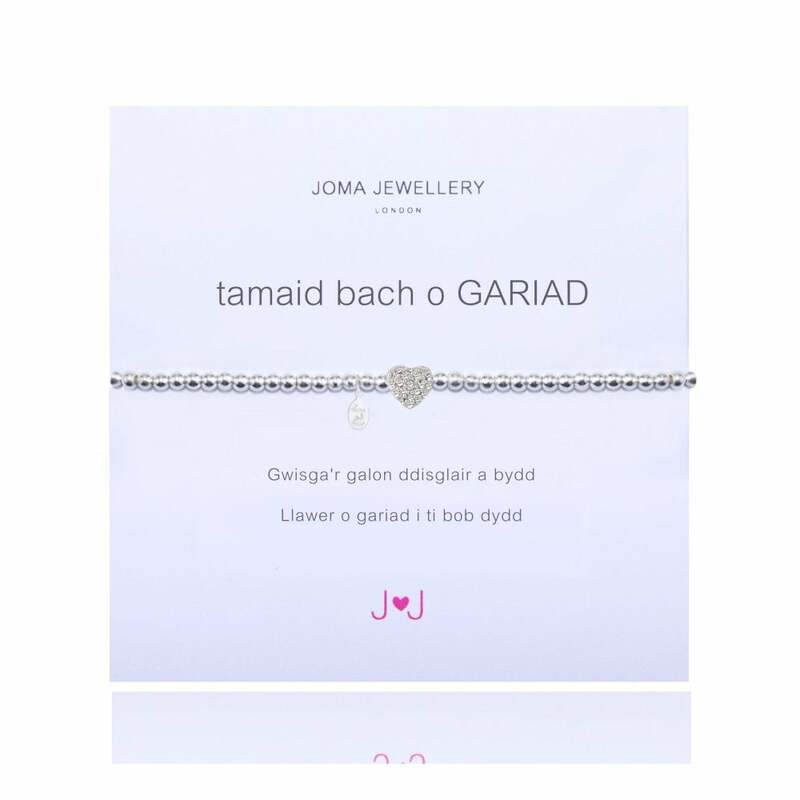 Tamaid Bach O Gariad Silver Bracelet with Pave Heart Charm - Joma Jewellery Welsh Bracelet with the sentiment 'Gwisga'r galon fach a bydd Llawer o gariad i ti bob dydd' English translation: "Wear this silver heart everyday to bring a little love your way". A stylish welsh gift, a quality silver plated string of beads with a silver heart stung to it, fab on its own or stacked with all your favourite 'a little' welsh bracelets. Beautifully presented on a simple white Joma Jewellery card, this bracelet makes the perfect birthday present!